Has the Byron Shire Council complied with the Building Code of Australia in its Roundhouse subdivision? As everyone else has to do? 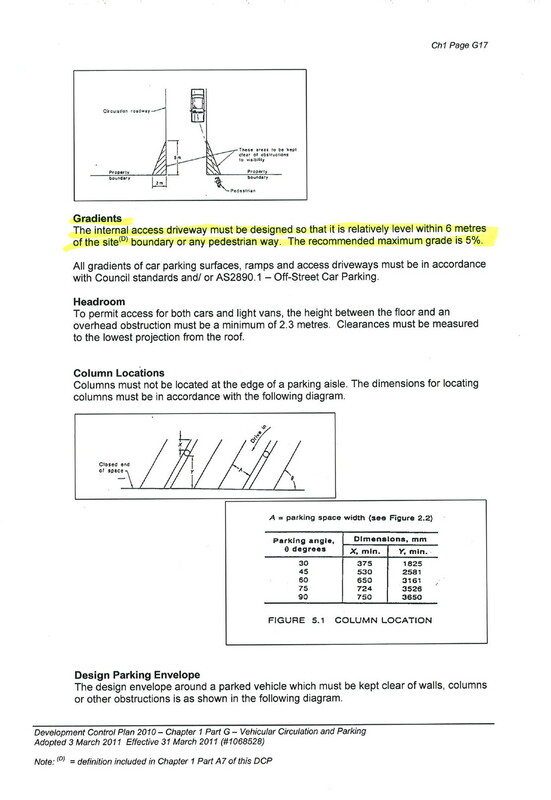 Is Roundhouse Place compliant, or the access driveway to Lot 11? Here are the gradient requirements under BCA. Note the gradients and the area to be kept clear of obstructions to visibility.